Hey ladies, are you looking for your next eye-catching hairstyle? Styling On A Budget had the opportunity to partner with The Hair Rock for another budget friendly beauty review! The Hair Rock is an affordable website that features remy hair, bundled hair, braiding hair, wigs, and hair accessories. Guest blogger/hairstylist Valerie Mateo shared her experience while rocking the Lace Remy Wig. Valerie is wearing the Story Lace Remy Wig in color DX27-30-4. The wig is very easy to wear. After putting a wig cap over her own hair, she put the wig on and secured it with the clips and security straps that are attached to the wig. After the wig was on securley, she cut the excess lace away from the wig. Although it is synthetic hair, this wig is curling/flat iron safe. The European deep wave hair is about 24 inches long and features an invisible side part. This style sells for $45.90 and is available in seven different colors. The hair doesn't tangle and has a very natural look and feel. 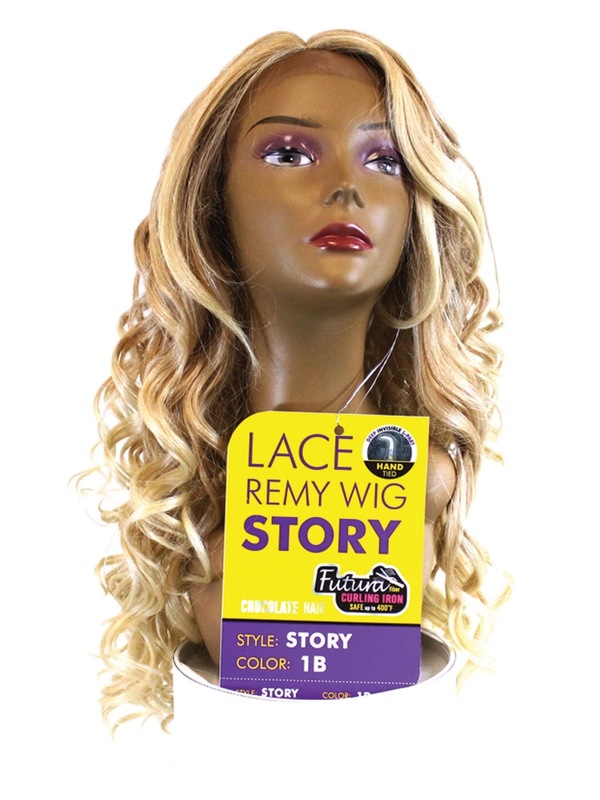 Valerie says that the Story lace wig is perfect for a night on the town or when you just want to switch up your look. Be sure to check out more fabulous products by heading to The Hair Rock! At first I only got Zala Ponytail extensions, but after going home and looking I decided to splurge and get the full set. So I called them up and they said to go ahead and come down and they could do it the same day! They matched my hair perfectly, and not to mention they are at a great price. I highly recommend this place!